Your spring piano recital is one of only a handful of times when your entire studio population is gathered under one roof. Taking full advantage of this captive audience and delivering a brilliant recital welcome speech can accelerate your studio growth and contribute to a long, full, and healthy musical career. But what does a brilliant welcome speech look like? 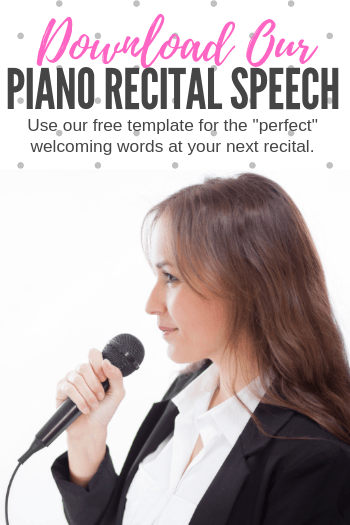 In today’s post, we’re sharing the six components of a “pitch-perfect” recital welcome speech, followed by an actual welcome speech transcript that you can adapt for your own recital. Below I have highlighted the six building blocks that make up a “perfect piano recital welcome speech”. At the bottom of the post please share your thoughts on your own welcome speeches and add anything we may have missed. After welcoming everyone to your recital, you’ll want to immediately let people know that there will be students of many different ages, working at many different levels. In doing this, you keep your audience’s expectations in check. Some audience members may assume that every child to grace the stage will be a mini-Mozart. But, as this may not be the reality in your studio, it’s a good idea to set the record straight in terms. 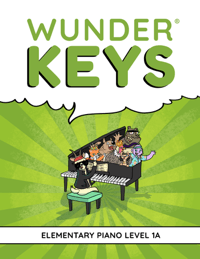 Bringing attention to the variety of students in your piano studio has a second purpose as well. It lets the parents in your audience see what their children can become and reminds them of where their children used to be. A reminder of progress does wonders for student retention and parental satisfaction. 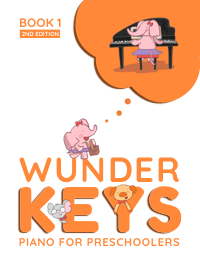 Next up, you’ll want to gush to about your piano students. Use this opportunity to highlight all of the accomplishments that have occurred in your studio over the course of the year. But be sure to keep this studio specific, rather than student centered. For example, you’ll want to say something like, “The children in my studio completed 357 pieces this year!” as opposed to, “Sarah earned a silver medal in her Grade 6 exam”. While your gushing about your students, you’ll want to make sure that your “gushes” include references to the awesome things that have happened in your piano studio over the course of the year. People lead very busy lives these days so they can be forgiven if they don’t remember your practice incentives during the fall or your CD release parties at Christmas. And, even if they do remember what has happened over the course of the year, listing off an array of activities in rapid fire will be impressive… and make you look awesome! After gushing about your students, go ahead and gush about their parents as well. Use your piano recital welcome speech to remind them of how appreciative you are of their decision to make music a part of their children’s lives; recognize their commitment to music. This could be the most important aspect of any welcome speech because, if carefully crafted, your appreciation can be used to highlight the importance of music in the lives of children… and ensure an incredible re-registration rate. If you want to really impress your studio parents, remind them of how proud you are of their children for simply having the courage to get up on stage and perform music for an audience. Whenever I deliver this line at my recitals I can see genuine nods of approval in the audience. The thought of performing in public is terrifying to most adults. 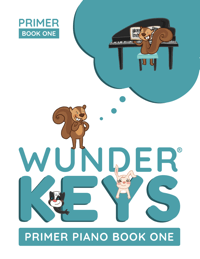 When you bring this to their attention, they will be that much more appreciative of the efforts your piano students are making and understanding of nervous slip-ups that might occur. 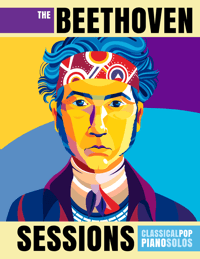 And, most importantly, they will see that music lessons can have incredible value in the lives of their children, beyond the learning of music itself… which once again, will result in more piano students coming back year after year after year. After reminding your audience of the courage your piano students are about to show, it’s time to hit them with the big one, “Don’t leave this recital early!” Of course, I would never phrase it like that in a million years, but as you’ll see below, I have an effective way of communicating my point and ensuring a full recital even as the last note is played. First impressions are important… but so are last impressions. If you’re hoping to have strong re-registration rates and a growing and thriving studio, you do not want parents to leave with an image of a half-empty concert hall. Even if it was packed to begin with, that half-empty image will be burned in their minds, making your studio seem small and not particularly popular. Below is a sample, fictitious welcome speech that you can use to guide the writing of your own speech. The recital speech below can be delivered in less than five minutes. Five minutes doesn’t seem like long but when you’re up in front of an audience time does slow down. If you do not think that your public speaking skills can engage an audience for this amount of time, chop this speech down to its absolute most important components. Hello everyone and welcome to our spring recital. I’m so happy to see everyone here today; moms, dads, grandparents, aunties, uncles, cousins and friends… We have a wonderful line up of performers to entertain you. Today is a celebration; it’s the very first recital for some students… and it’s the 15th recital for others! Our recital will showcase a wide variety of levels from young beginners right through to advanced students. This variety gives older students the opportunity to remember what it was like to be a beginner, and younger students the chance to see what their hard work will enable them to accomplish in the future! I feel so fortunate to teach such a special group of students. This past year has been full of learning, progress, and accomplishments. I just added up the numbers last night, and students in this studio have completed over 300 pieces this year! Perhaps even more impressive is that every student has composed at least 4 original pieces of their own! As you probably know, our studio was a very busy place this year – we held several fun practice incentive events including our very popular E-Fish-Ent Practice and Wild West events. 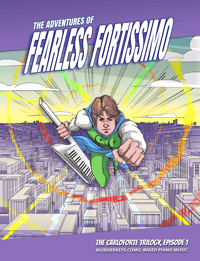 Students had so much fun with weekly piano theory games and with the improv activities we introduced this year. We also just recently completed our CD project where students recorded their favorite pieces from the year. Students can look forward to taking their own personal CD home at the last lesson before the summer break! In addition to all of the wonderful accomplishments during lesson time, our studio has also been active beyond the studio… even helping to raise over $500 for local families. We’ve had many students complete their piano and theory exams with wonderful results. Students also participated in our local music festival and performed in their school talent shows. Each and every child here today has shown incredible growth and progress and they should feel very proud of what they have achieved. Today, we are not only celebrating the fact that your children are learning to play the piano, but that they are willing to share this gift with others. It is not an easy task to come up here on stage and perform, and the confidence that these children are building by learning to do this from a young age is so valuable. Finally, I’d like to take a moment to thank the parents. I am truly grateful for the opportunity to get to know your children and to work with them each and every week; they continue to amaze me with their intelligence, their energy and their sense of humor. Thank you for recognizing the value of music in the life of a child. Thank you for the time you invest in supporting your child at home… and thank you for including me as a part of your child’s musical education. Before we begin, I’d like to remind you that students placed at the end of the recital program have worked just as hard to prepare their performances as have students placed at the start. I would ask that you remain until the end of the program to ensure that all of these wonderful children experience the supportive and full audience that they deserve. And now we’re ready to begin! 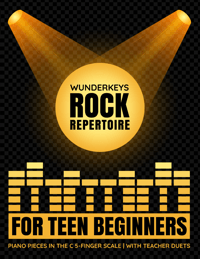 Help your teen beginners amaze the audience with the pop-rock duets from WunderKeys Rock Repertoire for Teen Beginners! Designed to motivate your teens to participate happily in your recitals, these pieces are crowd-pleasers that will get noticed! 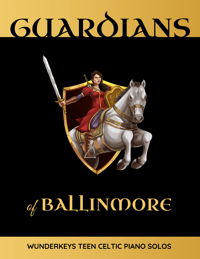 Find Books 1 and 2 on Amazon and listen to sound samples below.